We work from Monday to Friday From 9:00 AM till 6:00 PM.
" Shamkir Agropark' starts production of packaging carboard boxes! 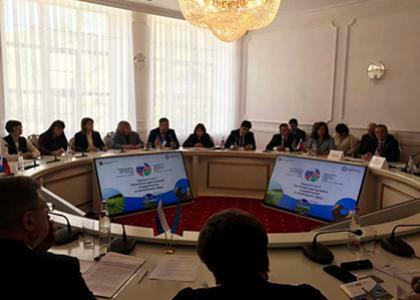 The 8th Russia-Azerbaijan Interregional Forum under the motto "Investments, innovations and tourism” has kicked off in Stavropol, Russia. A class refrigerating stores equipped with the latest technology, which does not have an analogy in the region. Customs clearance, issuance of the certificates of phytosanitary and origin are promptly executed in our company just on the spot. What field are you interested in Agropark?